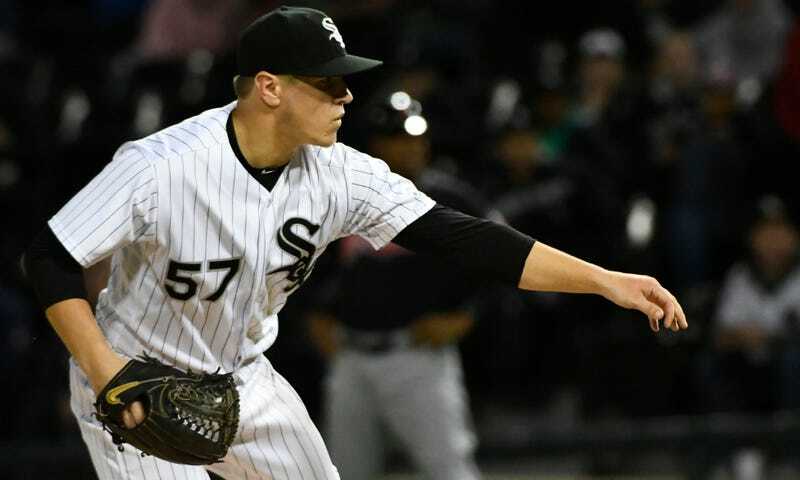 White Sox pitcher Jace Fry got his first career start Wednesday, against the Indians. It wasn’t a real start—the White Sox tabbed this one as a bullpen game, and Fry only pitched one inning—but, hey, a career first! Meanwhile, while he and his teammates were out there getting pounded by the Indians, it appears that his fiancée (or recent fiancée), Kelsi Blalock, was nuking their relationship via social media. Jace and Kelsi still have an active wedding page on The Knot, in case you’d like to shop their registry.